A child born April 20th to May 20th, is a Taurus. Taurus children are very responsive to touch. They need a lot of physical connection and affection. Because they are very sensory, they may be sensitive to certain clothing and materials as well as water that is too hot or too cold. A garment tag rubbing their skin will drive them crazy! Taurus is ruled by the five senses. They are very likely to put everything in their mouth, and to be thumb suckers, heavy nursers and big eaters. They are also very stubborn! They are born under the sign of the bull, which means they’re sweet and quiet, until you try to force them into something they don’t want to do and they won’t budge. They have very strong likes and dislikes. Taurus tends to get set in their ways and their ideas. It may help to encourage them to expand their views and try new things, before making up their mind about what they like, want, or consider something to be right or wrong. Even as babies, Taurus loves routine and they embrace predictability. Introduce changes early and slowly to allow your little one to adjust. They will do best in a clean and organized home. They are very aware of time and timelines. Setting times for naps and feedings will make them feel safe. 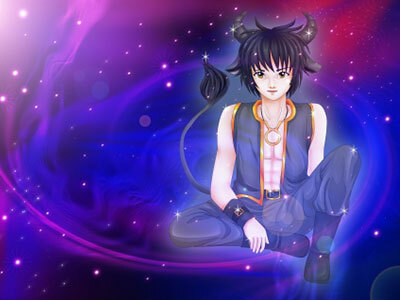 Taurus children tend to be very calm, cheerful, positive, and have loyal personalities. Their actions are predictable and they are usually fair when playing with other children. They will get quite upset if they feel that other children are not also being fair. Although Taurus children are generally quiet, sweet and fair, they often have a temper when they don’t get their way, or can’t control the situation. Temper tantrums can become physical, so it would be wise to teach your young Taurus to express anger with words, rather than to express it physically. Taurus children are rather easy to raise. However, they can be stubborn. They also do have a strong sense of justice and their temper tantrums can be explosive at times, but these problems don’t arise often. Enjoy your cuddly Taurus child. Let them know they are safe and loved and you will get the best hugs you have ever had!